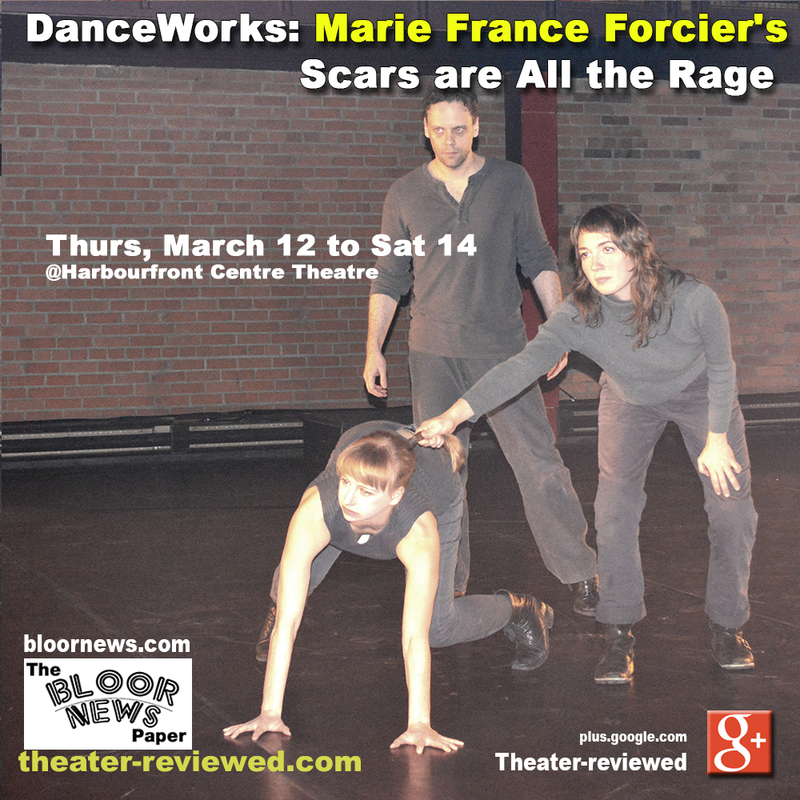 Forcier’s Scars are All the Rage comments on western societies’ mass consumption of trauma for entertainment purposes. The work is highly suggestive, examining the rise of trauma culture and our growing desensitization to sexual voyeurism. Norman’s what goes between examines relationships, loss, attraction and decision as it physically explores the phenomenon of one person’s thoughts or emotions affecting another’s mood, otherwise known as emotional contagion or synchrony. Artistic Director of Forcier Stage Works, choreographer, performer and writer Marie France Forcier recently provided choreography for Elif Izikozlu’s short film Two, which premiered at the Chicago International Movies and Music Festival. Among other works, she independently produced the Dora-nominated Facts of Influence (2010) and Dora-winning Lab Rats (2013). She serves as co-artistic director of Hub 14, a Toronto-based arts incubator catering to independent movement-based practitioners. 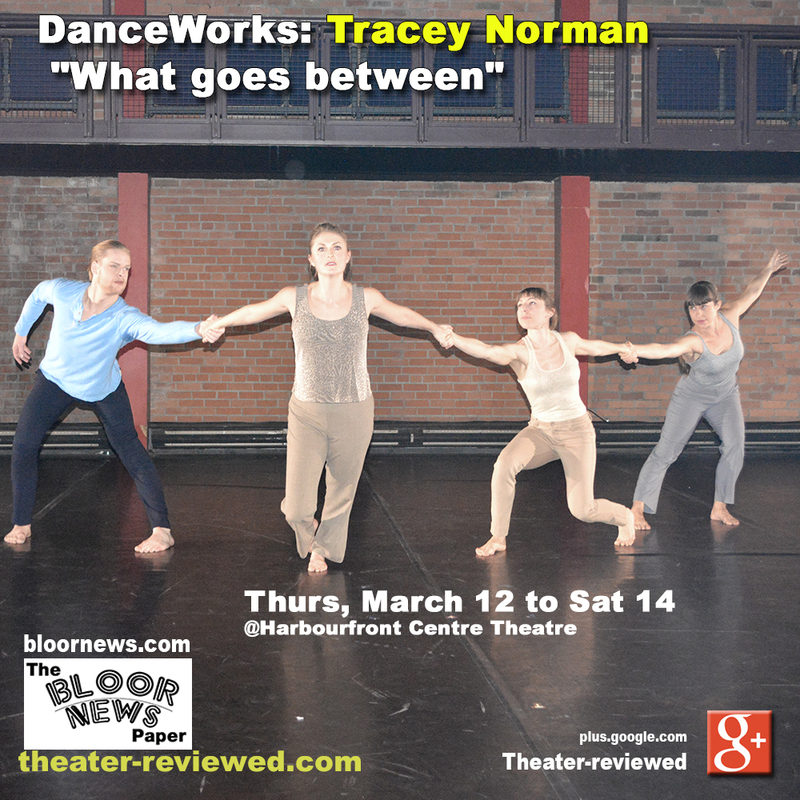 For the past decade Tracey Norman has been splitting her time between choreographing, teaching, performing and researching dance. 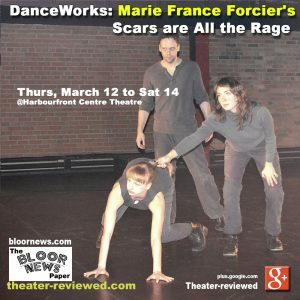 Currently on faculty in the Department of Dance at York University, she served on the board of directors for the Canadian Alliance of Dance Artists and recently collaborated on the sold-out runs of Blumberg/Norman Double Bill with choreographer Angela Blumberg, and episodes | andscapes with JDdance and DanceWorks.